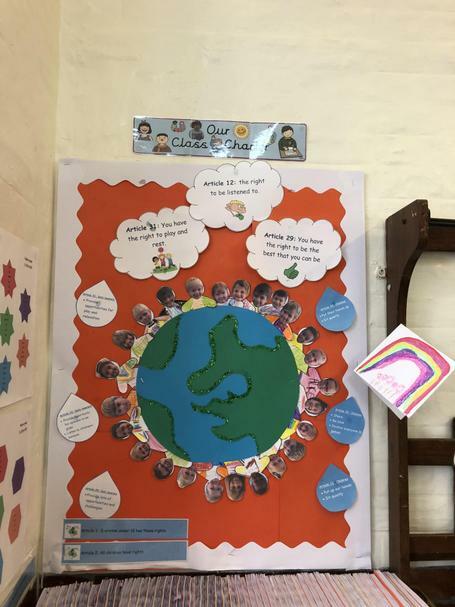 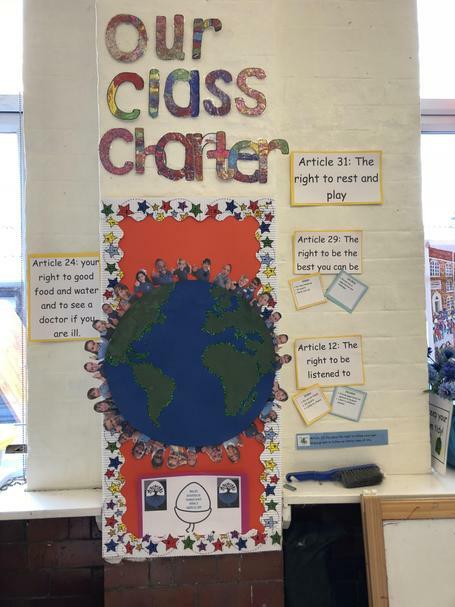 The Whole School Charter is based round the United Nation on the Rights of the Child and is part of our Rights Respecting School ethos. 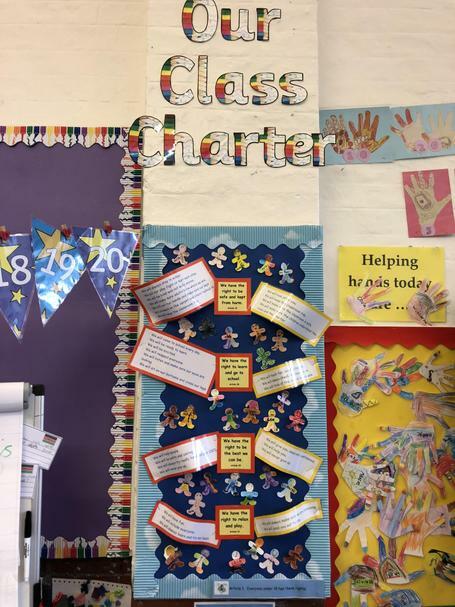 The whole school charter was developed by our Rights Respecting Steering Groups and School Councils along with leading members of staff, to create joint agreements about the expectations for respecting rights in all areas of school life. 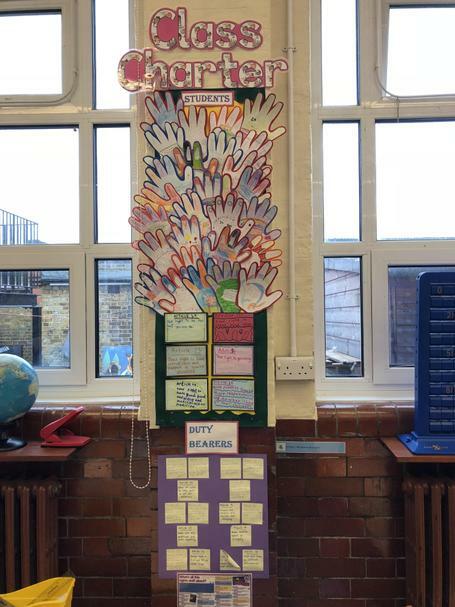 Please see below for the rights and actions we decided upon. 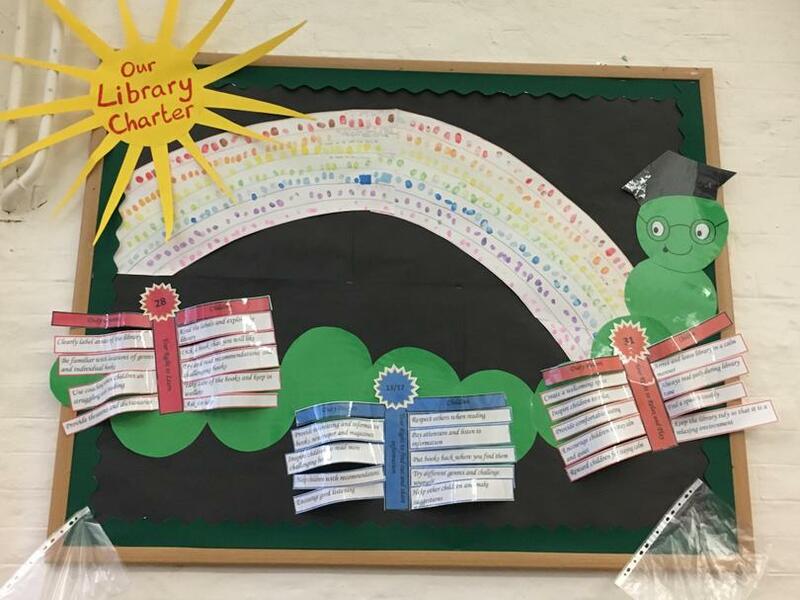 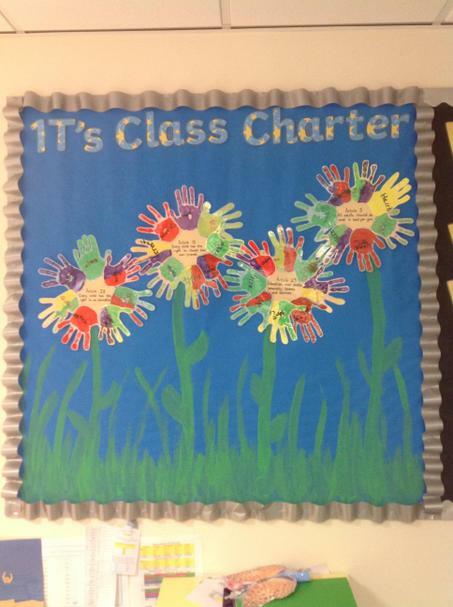 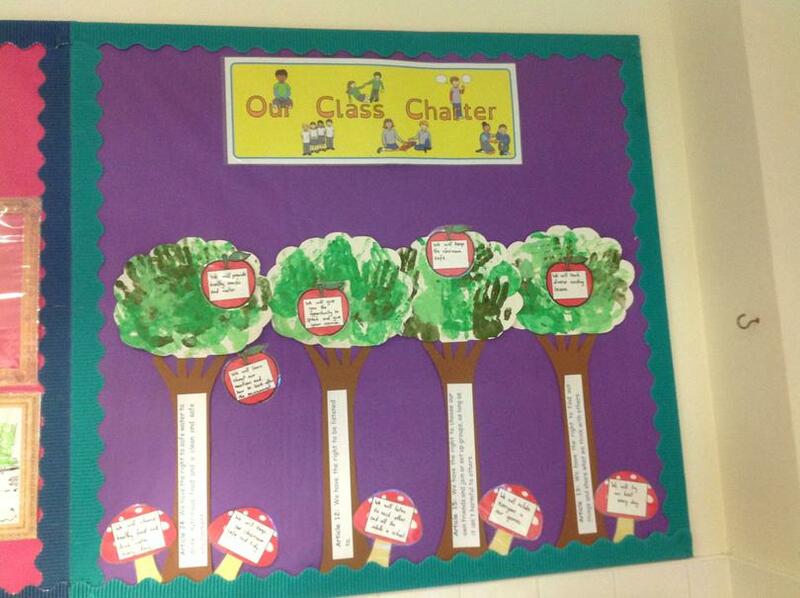 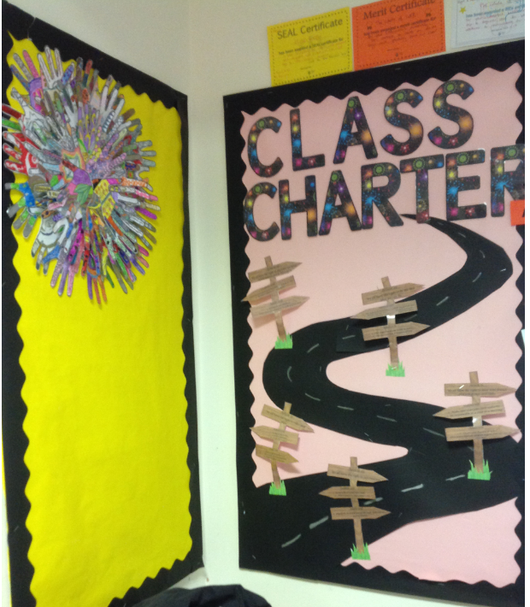 At the beginning of each academic year all classes create a class charter. 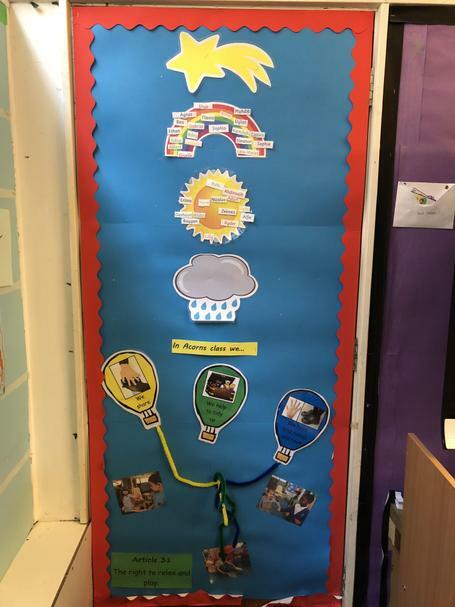 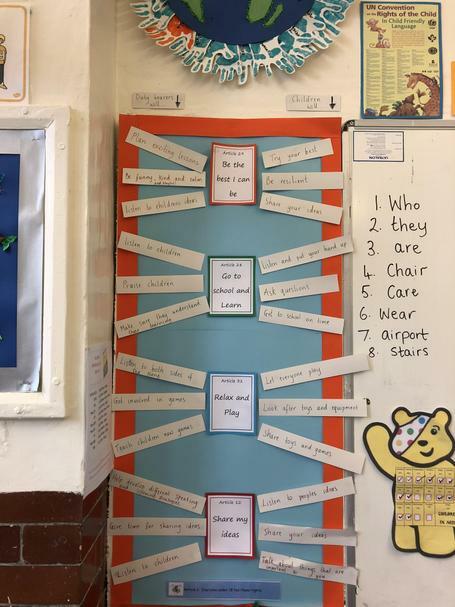 Each class chooses the rights that they feel are most important to them and decide on the actions that are expected of both children and adults in the class. 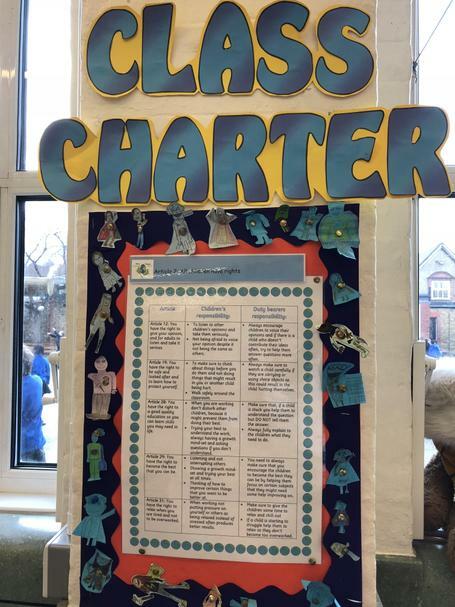 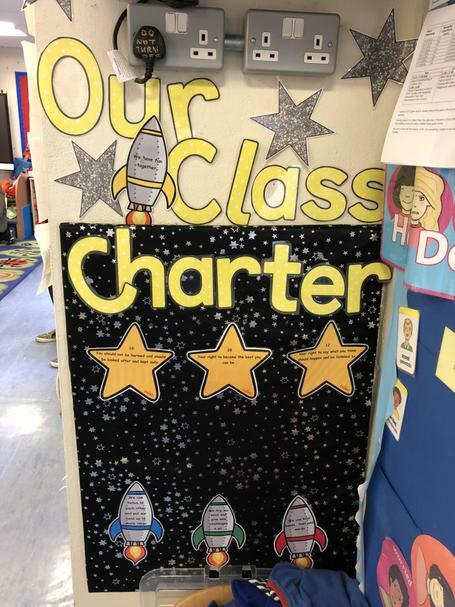 The purpose of the charter is to give all members of the class a voice through which a mutually agreed upon set of standards and expectations are achieved. 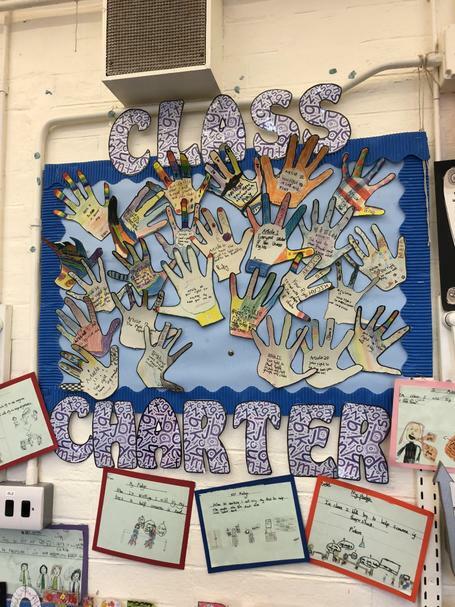 Pupils decide on the rights which they think are most relevant to their class and sign the agreement for how they will respect these rights. 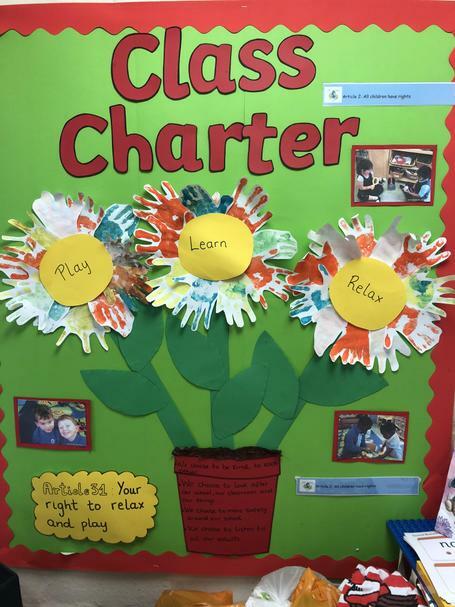 The charters serve as the glue within each classroom to ensure that we all understand our responsibilities as rights respecting citizens (duty bearers as well as children). 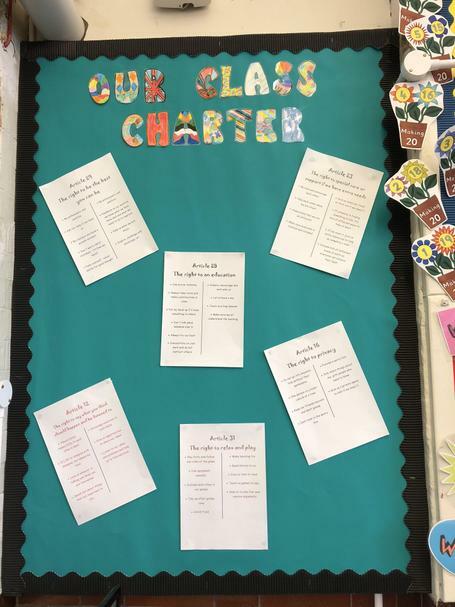 Have a look at our fantastic Class Charters below! 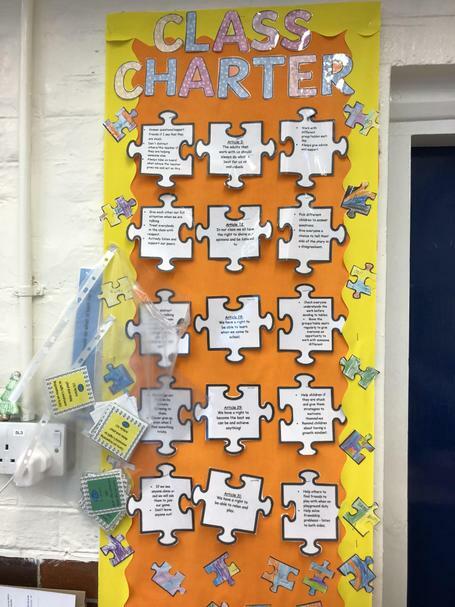 Can you spot your Class Charter?